Compounding the severity of the situation, the September 2016 Protocol (see below), was a renegotiation of Venezuela’s debt default to Russia last year. The September 2016 Renegotiation was the second restructuring of the debt — the first having taken place in September of 2014. In the 2016 Protocol, Russia and Venezuela had agreed to restructure the Venezuelan debt of $ 2.84 billion, with a new schedule of payments $530 million through 2019-2021. The other $2.2 billion of the debt was to be repaid by Venezuela within five years, with the first payment due on March 31, 2017. The Audit Committee action suggests that Venezuela failed to make even the renegotiated payment due in March. Russia loaned Venezuela $4 billion in December of 2011 to finance Russia’s supply of industrial products to Venezuela, mainly defense products, including 92 T-72 tanks, 24 Sukhoi fighter jets, S-300 anti-aircraft missile systems, 15 Mi-35m combat helicopters, 20 Mi-17-1B multipurpose helicopters, 3 Mi-26T transport helicopters, in addition to guerrilla-favorite Kalishnikov rifles. According to the 2016 Protocol, Venezuela had used $2.8 billion and began falling into arrears in 2015. At the end of 2013 Russian companies sold weapons to Venezuela for $ 2.65 billion and those Russian companies were paid by Moscow under the credit agreement. By April 2015, the Russian Ministry of Finance added another $962 million in finance, giving Venezuela $3.6 billion in credits for the purchase of Russian products. According to the documents, Venezuela regularly paid the loan until 2015. PDVSA is behind on shipments of crude and fuels under oil-for-loan deals with China, too. 2. 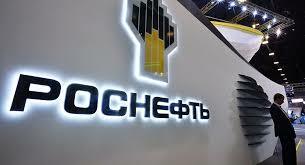 Treasury Secretary Steven Mnuchin, who heads the Committee on Foreign Investment in the U.S. (CFIUS), confirmed to Senator Bob Menendez during testimony that there would be a CFIUS review of the Rosneft – Venezuela Citgo transaction. PDVSA has been discussing five new joint projects with Rosneft, including Petropiar, and is hoping to clinch the deals soon.